ID: 42 ~ Source: University Archives Photograph Collection, UA 8. ~ Creator: College of William and Mary. 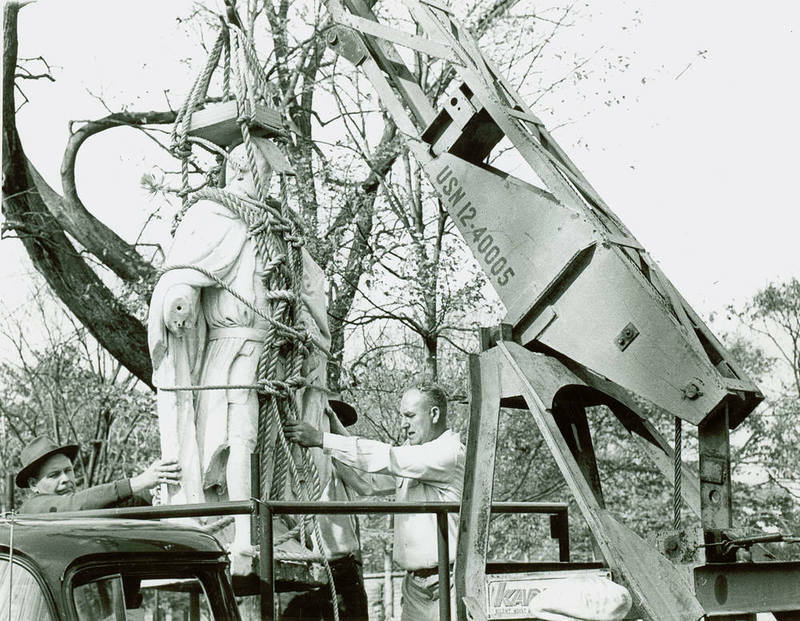 The original Lord Botetourt statue being lifted onto truck in 1958, eventually to be moved to the Botetourt Gallery in Swem Library where it remains today.